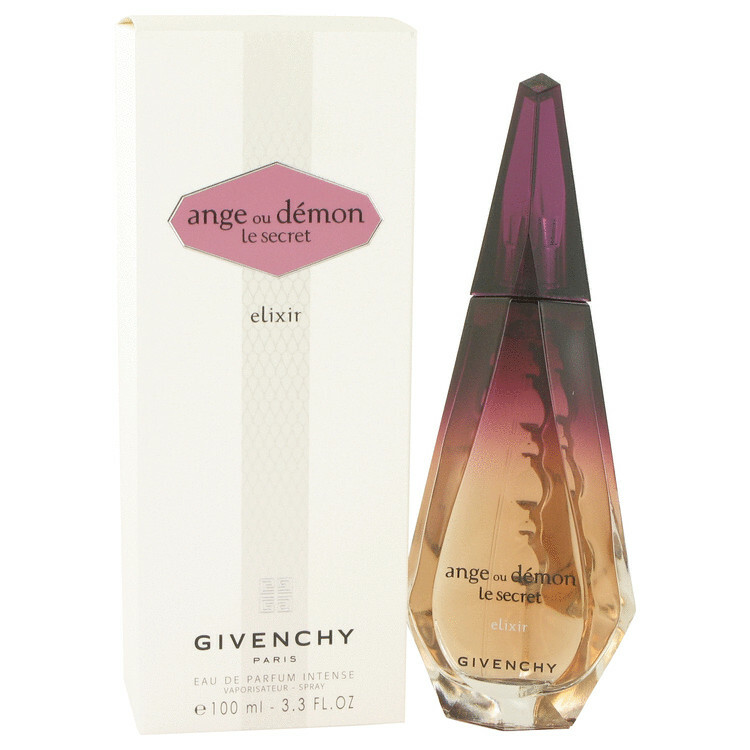 Ange Ou Demon Le Secret Elixir Perfume by Givenchy . . . Launched in 2008, Ange Ou Demon Le Secret Elixir is a deeper, richer and more sensual version of the original. This fragrance conquers wild fantasies, transcending seduction to reach climax. by white flowers such as sambac jasmine, orange blossom and frangipani. and proceeds to a wooden background of patchouli. stays longer to calm your mind and soul. The face of the fragrance is the American actress Uma Thurman.